Yarrow In History, Literature and Romance by Rev W Steven. 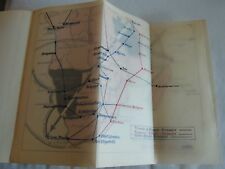 Condition: pages in very good condition, but cover has staining as shown. Publisher: A Walker & Son, Galashiels, 1916. Binding: Hardback. Size: approx 13 cm x 19 cm x 2 cm. By D C WHIMSTER. 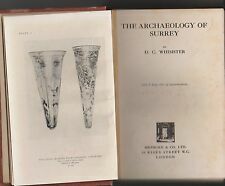 THE ARCHAEOLOGY OF SURREY. Universal History of the World. Written by One Hundred and Fifty of our Foremost Living Authorities in all Branches of Historical Knowledge. CHARLES KINGSLEY. He was a friend and correspondent with Charles Darwin. ( Wikipedia). Charles Kingsley (1819-1875). His best known works are Hypatia (1853), The Water Babies (1862), Hereward the Wake (1865), and Westward Ho! 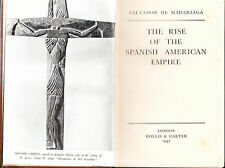 1923 8vo hardcover published by Oxford University Press. Very good condition. A couple of spots on the boards and rubbing to cover edges. Clean and solidly bound. A very good copy. MAINLY ABOUT WOLVES. (from the preface). Ashwell is a village on the far northern edge of Hertfordshire, in the UK, located close to the towns of Letchworth and Biggleswade. Its colourful history, involving the Coproliters, Nonconformists, poets, and interesting personalities, is captured here. T. Walter Wallbank and Alastair M. Taylor. Includes illustrated endpapers, black and white photographs and illustrations, bibliography and a comprehensive index. MOST BOOKS ARE SENT IN SATCHELS. SIGNED BY THE EDITOR. An Illustrated History of Hairstyles 1830-1930 by Marian I. Doyle 9780764317347 (Hardback, 2003) Delivery Australian shipping is usually within 13 to 17 working days. Product details Format:Hardback Language of text:English Isbn-13:9780764317347, 978-0764317347 Author:Marian I. ON THE BORDERS OF PIGMY LAND. by RUTH B FISHER. HC circa 1900. The picture is of the actual book for sale. Nice and solid reading condition . MACMILLAN'S TEACHING IN PRACTICE FOR INFANT SCHOOLS. Macmillan and Co., London, 1943, third reprint, 1st pub. Macmillan and Co., London, 1943, second reprint, 1st pub. Edited by E. J. S. Lay. A very heavy set of books. The Cape Malays. by I. D. du Plessis (University of Cape Town). 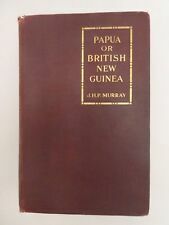 by Maskew Miller Ltd., Cape Town, 1947, Second Edition, 1st pub. Friedman provides deep insights into the history of the modern US submarine weapon and provides background information.". --TRUPPENDIENST "U.S. Submarines since 1945, Revised Edition by Norman Friedman is a must read for all professionals, designers and scholars of modern submarines.". John Steegman. University of CAMBRIDGE. We are very understanding. But, of course, we are not mind, readers. Now to this fine item. Publisher: Hodder & Stoughton, 1937. Binding: Hardback. Condition: in good condition. No marked (apart from age spots on first few pages and outer edges pages), missing or torn pages. Weight: approx 500gms. By H STANLEY JEVONS. THE BRITISH COAL TRADE ( 1915). HC/DJ pbl in 1969. 876 pages, indexed, illustrated, fold outs. He established his practice at Burnley, Lancashire where he developed his own ink polygraph with which he was able to simultaneously record the arterial and venous pulsations during his study on arrhythmias. For sale are 2 books relating to Barwon Heads Golf Club 'Barwon Heads Golf Club 1907-1973 ' by G.C. Adams. In hard cover format with dust jacket and. 'Heads, You Win! '. - A History of the Barwon Heads Golf Club - by Weston Bate. (By GEORGE M'CALL THEAL D.Lit., LL.D. Seabrook's Book out of Africa. by WILLIAM B. SEABROOK. 2) JUNGLE WAYS. 1) SOUTH AFRICA. Two Old Books on Africa . Scott Country Water-Colours by various artists. Pages: unnumbered. Condition: very good condition for its age. No marked, missing or torn pages. Size: approx 16 cm x 22 cm x. 7 cm. Papers & Proceedings Of The Royal Society Of Tasmania For The Year 1945. Hobart, The Tasmanian Museum And Art Gallery, 1945. 8vo; pp. 160; b/w. illustrations, map illustrations, photos graph illustrations;. a collection of papers presented see photo of contents. Condition: in very good condition for its age. Age spots scattered through pages and end pages. No marked, missing or torn pages. With illustrations by F Fissi and the author. Binding: Hardback. Size: approx 16 cm x 26 cm x 2 cm. By HILDEGARDE HAWTHORNE. illus by E H SUYDAM. CALIFORNIA'S MISSIONS. HC 1st ed 1942. Publisher:Dent & Sons, 1922. Binding: Hardback. Illustrations: 20 half tone, 40 line drawings (by author). Illustrations by Upper Paleolithic Artists and by C R Knight, E S Christman and others. Osborn was born in Fairfield, Connecticut, and studied at Princeton University. He was professor of comparative anatomy from 1883 to 1890 at Princeton. (Chairman of the City Lands Committee, 1898). THE GUILDHALL of the CITY of LONDON. Corporation of London, 1912, Fourth and Revised Edition, hardcover large 8vo without dj, 242pp., B/W PHOTOGRAPHS & ILLUSTRATIONS, Chapters. In May 1942, when it was selected as one of the half dozen cities to be given a 'Baedeker Raid' the Cathedral city of Exeter was described on the German radio as a jewel. When the bombers left, great areas of the city were in smoking ruin. By Malcolm Uren. "This is a story of prospectors' gold, how the goldfields of Western Australia were found, when and by whom. From the Kimberleys in the north to Dundas in the south, the story is traced of the en who saw the glint of gold and saw in that glint their fortune. Published by Fisher Unwin, London 1912. International money orders or US checks. Not Accepted. By MRS. STEUART ERSKINE. VANISHED CITIES OF NORTHERN AFRICA. Illustrations by MAJOR BENTON FLETCHER. Hutchinson & Co., London, not dated circa 1927 to early 1930s, Second Edition, hardcover large 8vo without dj, 284pp., 8 COLOUR & 32 B/W ILLUSTRATIONS, 21 Chapters. Hutchinson's - Story of the Nation's. Vols. I, II & III. (Clothbound, C. 1930). Hutchinson's - The Story of the Nation's, Vols I, II & III in good condition. 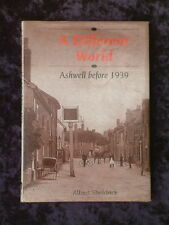 Published by Hutchinson's around 1930 and Printed in Great Britain by The Anchor Press, Tiptree, Essex. Large Heavy Books. Published by Swan Sonnenschein & Co., London, 1909. Hardcover, burgundy cloth, guilt decorated, xxxv, 508 pages. Author(s): Conor McNamara. Title: The Easter Rebellion 1916: A New Illustrated History. Binding: Hardcover. Condition: New. Publisher: The Collins Press. Denis Smith. Country/Region of Manufacture Canada. Special Attributes Illustrated. Format Hardcover. Language English. Author Matthew Brady. Topic Civil War (1861-65). Special Attributes Illustrated. Subject History. Country/Region of Manufacture United States. Book is in Very Good Condition with rubbing to the surface and corners. And you can save up to 25%. First Edition. Subject History. Year, Incorporated. Publication Year 19480000. Topic By Country.